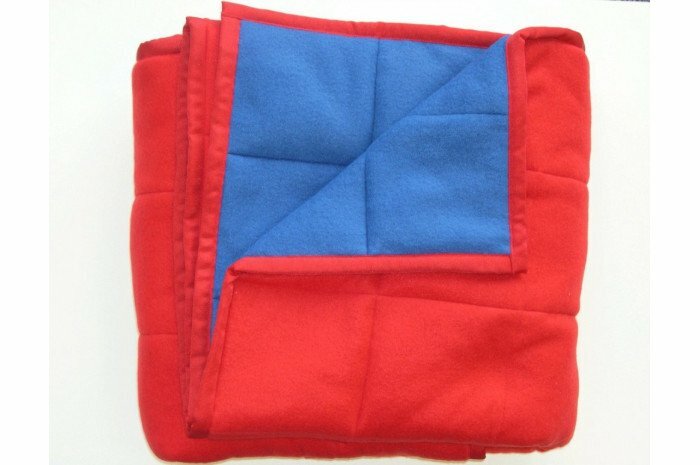 A double insulated blanket with blue on one side and red on the reverse. The red and blue combination is calming or offers visual stimulation on the opposite side. 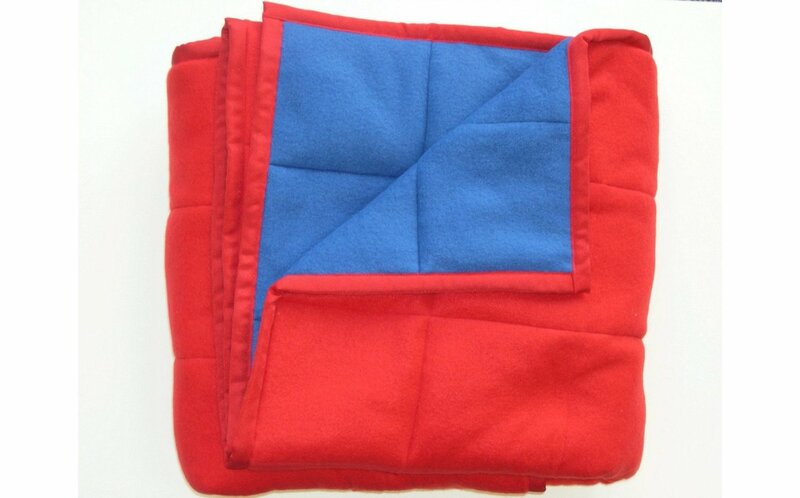 Blanket is washable, weights 8 lbs and measures 45"x60".